The Walka Water Works site is a 118ha area of public land adjoining the Hunter River about 2km north of Maitland. The site incorporates a rare combination of heritage values associated with the Water Works, which began operating in 1887 as the first water supply to Newcastle. The natural and cultural landscape values of the site, which include a large water body, provide a wide range of recreation opportunities. The site also includes flat agricultural land on the floodplain that was acquired by Council for public recreation uses. Corkery Consulting was engaged by Maitland City Council to prepare a Master Plan, Plan of Management (POM) and draft Business Plan to provide a framework for the future use, enhancement and management of both Crown Land and Council-owned land as an integrated single asset. A comprehensive and detailed site assessment identified a diverse set of constraints and opportunities. They included risk factors associated with the site that are addressed in the Master Plan such as flooding, stormwater quality, site contamination and bushfire hazard. Existing road access is limited to a single road that is subject to flooding and consequently an opportunity was identified to upgrade an existing bridge over the railway line to provide an alternative flood free access. briefing members of Council and responding to submissions from community groups and individuals. 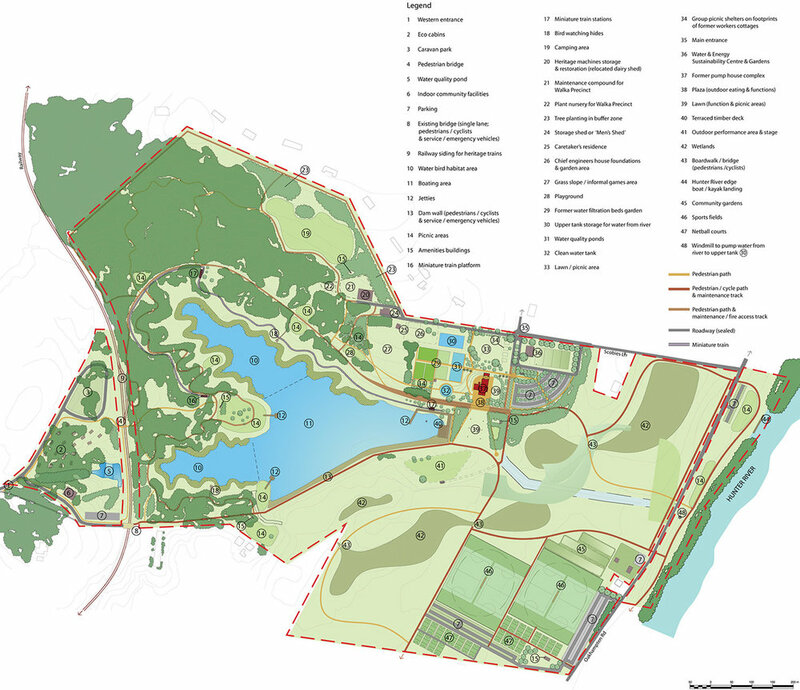 The Master Plan aims to achieve sustainable management of the site for both current and future generations. It provides an integrated planning and management approach that balances environmental, heritage, social, and economic values associated with the site to effectively meet community needs and aspirations over time.